Computer Repair Made Fast and Easy! Even in today’s mobile world, we still need our trusty laptops and desktops. We usually use them at work or in our home. Next to our smartphones, our computers carry valuable data such as friends’ photos, resumes, and family videos. If they encounter a problem, would you compromise on a just any old computer repair shop? Of course not. You want capable technicians you can trust. 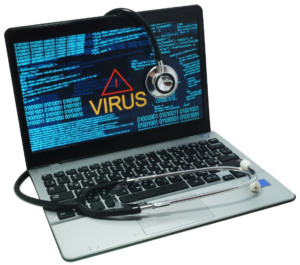 Is malware or Trojan threatening your PC’s performance? Call us right away and get your computer working smoothly again. 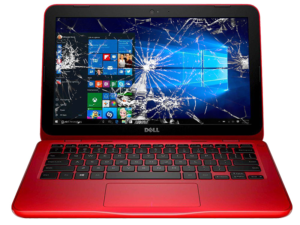 Even laptops and computers suffer from broken screens at times. Get it fixed by the best local repair Geeks today! Can’t come to us? No problem – we’ll go to you! Simply give us a call to set an appointment and one of our Geeks will be at your doorstep. Bad DC Jack ruining your PC experience? Having intermittent connection on your laptop? 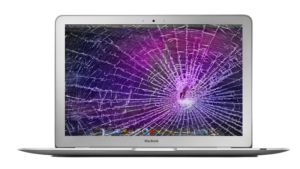 Ask our Geeks for quick repair today! 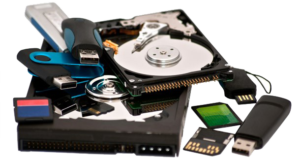 Important lost data in your devices can be restored by our experts. We’ll get your precious pictures and vital documents again. 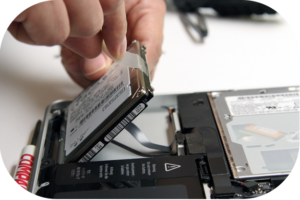 Replace or get a new hard drive for more PC or laptop storage. Ask one of our friendly Geeks and save yourself time and money. Get your New Hard Drive! 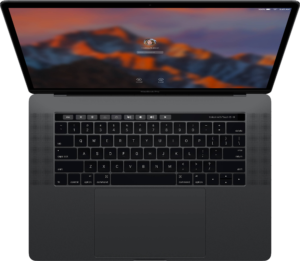 We understand how essential your Macbook is to your daily activities. So let’s get its screen clear and looking like new again. 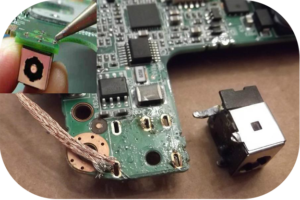 Looking for more information about affordable computer repair in Virginia? You can reach us at (804) 277-4080 for 24-hour support. You may also drop by our store at 9045 West Broad St, Henrico, VA or 6540 Midlothian Turnpike, Richmond, VA.
A lot of people still rely on their desktops and laptops to get work done. Whether it’s for business or for play, our PCs are like an extension of what we do. So when it gets damaged, it can really put our work on hold. In order to get back on track, it’s important to find qualified computer repair specialists who are also honest. Meet your local computer Geeks: ready to serve you and the VA area. Our Virginia computer repair shop also caters to on-site repair. If you can’t bring your device to our stores, then we will come to you! It’s that simple. Our Geeks work fast yet efficiently to ensure your PC will start running smoothly again. No tricks, extra rates, or rude technicians. During your call, don’t forget to ask us about our superior warranty so your device remains protected. As a leading computer repair, we understand that time is of the essence when it comes to PC problems. Let’s get your issues resolved immediately so you can return to your busy schedule. Call our Geeks TODAY at (804) 277-4080 OR come to our shops from Mondays through Saturdays between 10am to 7pm, and Sundays from 11am to 7pm. You can also send us an email at admin@richmondgeeks.com.